The wound of 2 stage implant surgery is found to be gapping 10 days postop with healing screw exposure 2 weeks postop. Exam at a month postop (Fig.1) shows that the mesiolingual cusp of the upper right 2nd molar is sharp (Fig.2 <) and inserted into the wound of the implant site (Fig.3). 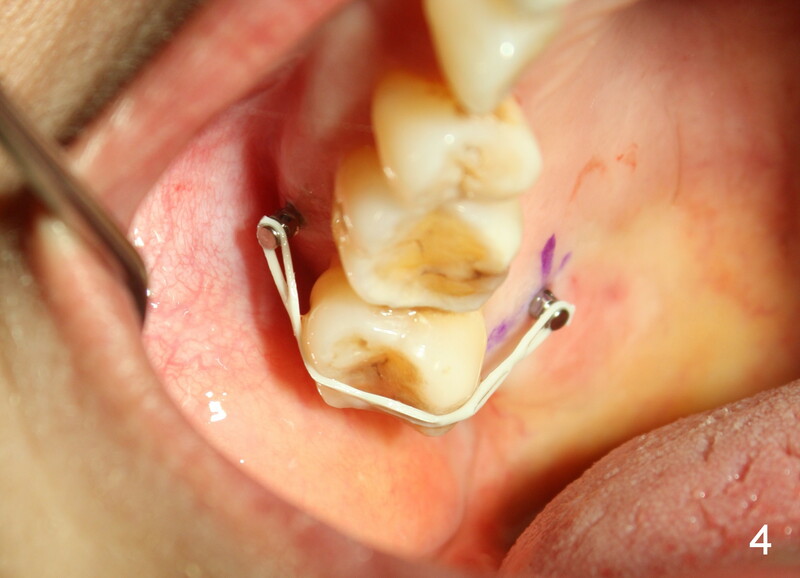 Two mini-implants are placed with immediate power chain retraction (Fig.4). 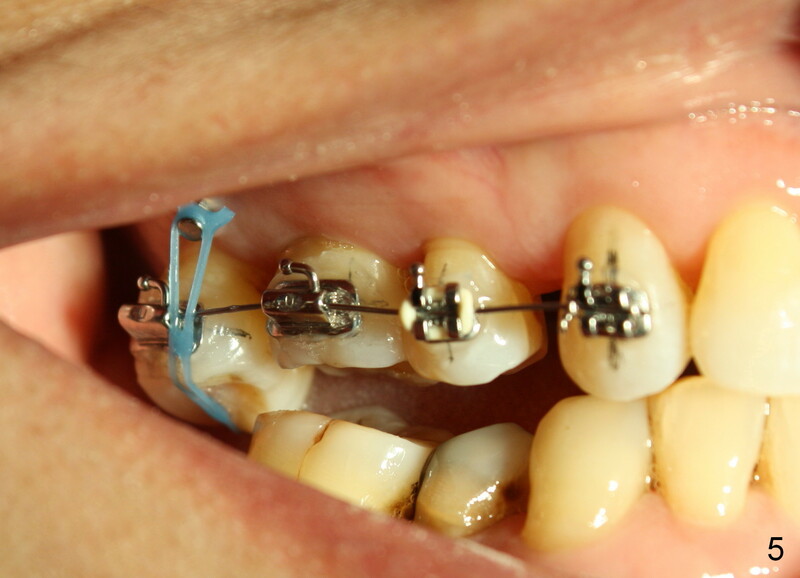 The orthodontic intrusion is without effect; brackets are placed 4 months later (Fig.5). Two months later, the patient is diagnosed to have breast cancer. 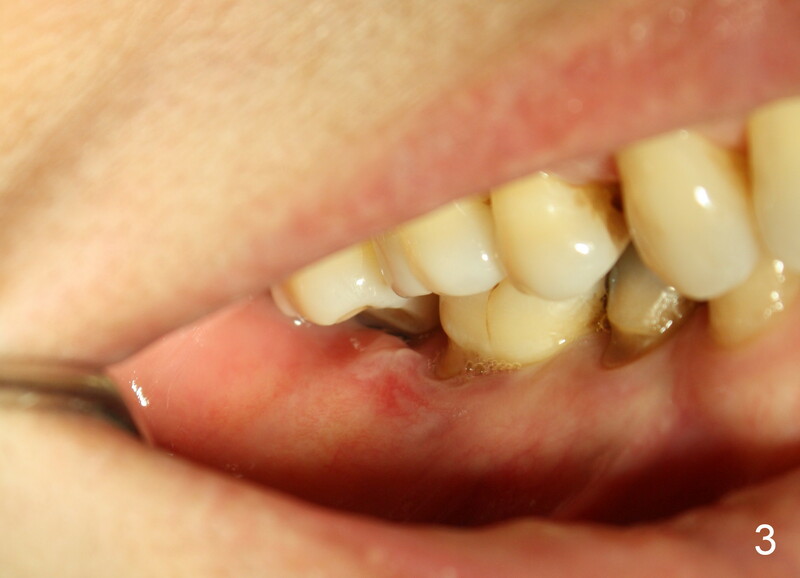 As a precaution for chemotherapy, the orthodontic device is removed. During chemotherapy, the patient returns once. 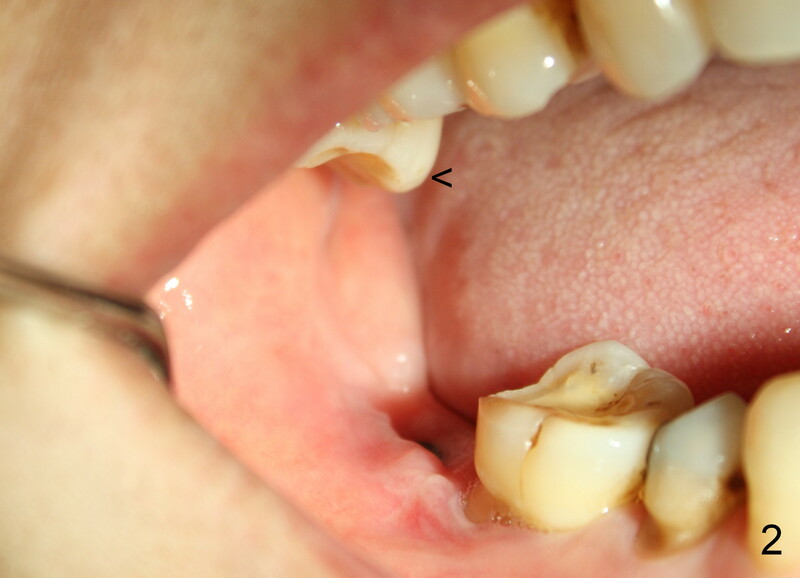 The gingiva around the cover screw is mildly erythematous and edematous. 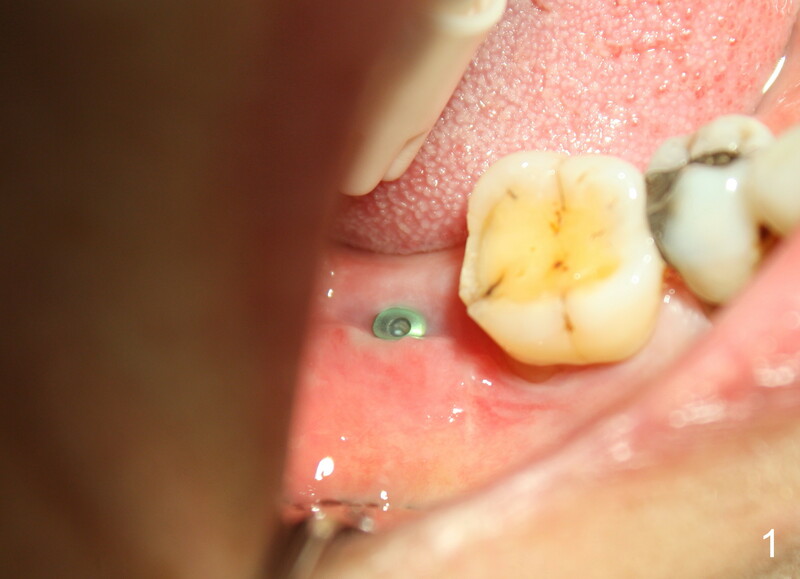 After removing plaque from the cover screw with irrigation, the patient feels a little better. All of the orthodontic appliances are removed before she receives chemotherapy for breast cancer.